Many people have trouble falling asleep and some even suffer from chronic insomnia. If your mom can’t get a good night’s sleep, consider gifting her a mattress cover, a new mattress, satin sheets, or a luxurious pillow. I’m sure you know how sound sleep is important to our heart health and immune system. For a new mom, offer to watch her baby so that she can have a long nap. The gift of support and time is perhaps the best of all gifts! 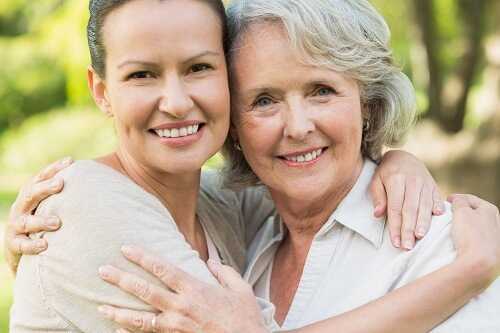 Be your mom’s health buddy and be there for any doctor’s visits whether it’s a routine appointment or mammogram. Your mom can say ‘don’t bother,’ but trust me, she will be so happy to have your support! The best gifts are always free, but if you have some cash to invest in your mom’s health, be sure to do it. Okay, it’s a small gift, but very healthy one. Dark chocolate is a wonderful source of powerful antioxidants that can help mop up the harmful free radicals that play a big role in heart disease and some other illnesses. When buying dark chocolate, opt for one with fewer calories and less sugar. This way, you will satisfy your mom’s sweet tooth and keep her heart health. Just don’t forget to remind her that dark chocolate should be eaten in moderation – no more than 3.5 ounces per day. Make your own fitness gift basket instead of buying a gourmet gift basket, which is filled with sweets and other high-calorie things. Don’t know what exactly to put in it? Well, it could be a workout top, a yoga DVD, or a pedometer, arm weights, or even a tape measure. If your mom isn’t a fitness fan, consider making a healthy gift basket that will consist of her favorite fruit and vegetables. There are some gifts in which at least 5% of the proceeds will go to a charity of your choice. Wow your mom and have your money go further at the same time. Gift that keeps on giving can include bathrobes, scented candles, cosmetics bags, and plenty of other things. Don’t forget to choose a charity from a list. When your mother gets such a gift, she’ll be notified that it’ll benefit some charity. Make your mom’s favorite healthy and light meals or present her with a skinny-kitchen gadget, like an oil mister, grill pan, or steam basket. You could even get your mom to see a nutritionist who will tailor their advice to whatever questions or problems your mom is having with her diet. Healthy eating is the key to a longer life so pay closer attention to your mom’s diet. Mothers usually have lots of responsibilities and no time to relax. Help your mom to escape from reality and her responsibilities for a while to relieve some tension – give her a massage gift certificate on Mother’s Day. Massage has many health benefits, including pain relief, improved circulation, strengthened immunity, and wider range of motion. Mother’s Day is not the only opportunity to show your mom how much you care. Show your gratitude and appreciation each day and take care of her health regularly – she may be too busy to think of visiting her doctor. Which of these healthy Mother’s Day gift ideas do you like and want to use? Do you have any other ideas? Share them please.